Reefer (a marijuana cigarette) is the perfect example of a common word with an unknown origin. I heard Richard Diebold say this several times. He was an eminent historical linguist (and one of my mentors). The American Heritage Dictionary of the English Language noted that the etymology of “reefer” was obscure, but that it might come from the phrase “to reef (i.e. roll up) a sail.” Diebold found this unconvincing. I’ve since learned where the word “reefer” really does come from, but first, a bit of history. 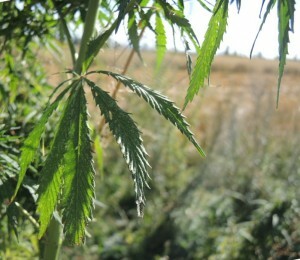 Marijuana is an old crop, native to Central Asia, where it still grows wild (pictured), and cultivated in China at least 4500 years ago (Zohary et al 2012). It came to the Americas with the early colonists, and it was called “hemp” (or cáñamo, in Spanish). Hemp was grown for fiber, to make sails and rope. The word “marijuana” or “marihuana” is a Mexican invention, according to the authoritative Diccionario de la Real Academia de la Lengua Española, a major reference for Spanish etymology. 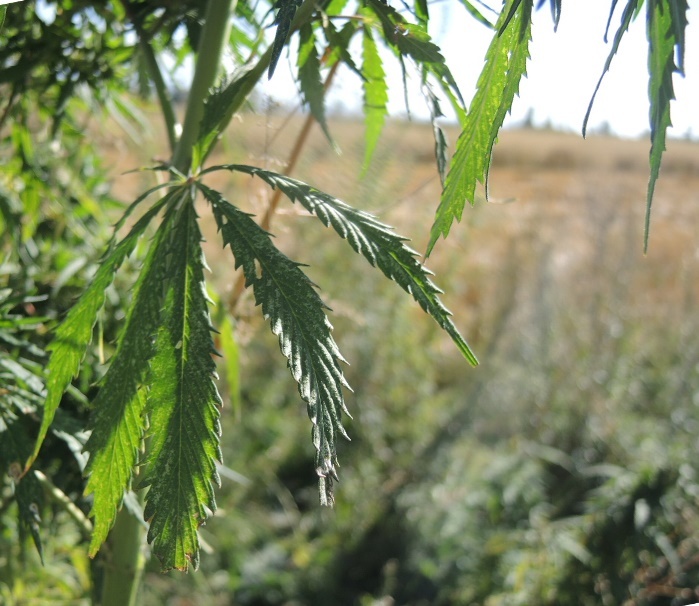 Hemp and marijuana are the same species of plant, but there are many different varieties. In the USA, recreational marijuana arrived with Mexican immigrants in the 1920s, following the end of the catastrophic Mexican revolution. The word marijuana was loaned into American English about then. The word “reefer” was well enough established to be used in the title of the 1936 propaganda film Reefer Madness, which sought to discourage marijuana smoking; the movie was so loaded with errors it became a classic in the annals of disinformation. In Honduras in the 1980s, I realized that “reefer” came from grifa, a synonym in Spanish for marijuana. I wanted to publish the idea, but I was too much of a coward to publish on an illegal crop. Spanish makes some sense as the origin of reefer. After all, some of the other words describing marijuana are also from Spanish: such as “sin semilla” for seedless marijuana (female plants produced in isolation from male plants to produce lots of drug-rich resin), and “toke” for a hit, from toque. I am only now getting up the nerve to write about reefer, and I am almost too late. By 2016 the American Heritage Dictionary has stopped repeating the old story about reefing up a ship’s sails, but it still says that the etymology of reefer is obscure. Wiktionary, a collaborative dictionary written by readers (www.wiktionary.org), does say that reefer is from grifa, but stops there. The Real Academia corroborates; “grifa” does mean marijuana, but only in the Americas. And that’s where the books end. The Honduran campesinos not only use “grifa” to mean marijuana. The term is rich in other meanings. As an adjective, “grifo” means ruffled, or fluffy, for example when weed seeds stick to your trouser legs after walking through a field of maize: one is said to “salir de la milpa con el pantalón grifo de mozote.” The verb engrifarse means to ruffle up one’s own feathers, the way birds fluff up their feathers to look big. So “grifa” (the feminine form of “grifo”) is a perfect way to describe a bud of marijuana, which is fluffy, feathery or ruffled. The word “grifo” in turn comes from standard Spanish, and it is the name of the mythical gryphon, with the head of a lion and the body of a ruffled eagle. The other thing they say about marijuana in Honduras is that it turns your head grifo or fuzzy, which is a good reason not to smoke it, at least not every day. I wish Diebold was still around to hear this story. He spoke Spanish well and would have appreciated the real origin of reefer. Crops need names and it was always going to be more likely that the etymology of reefer came from the land and farmers rather than from the sea and sailors. Bentley, Jeffery W. 2001 Diccionario Campesino Hondureño. Ceiba 42(2). PBS (Public Broadcasting Service) 2014 “Marijuana Timeline.” PBS Frontline. Zohary, Daniel, Maria Hopf and Ehud Weiss 2012 Domestication of Plants in the Old World: The Origin and Spread of Domesticated Plants in South-west Asia, Europe, and the Mediterranean Basin (Fourth Edition). Oxford: Oxford University Press.